Wong Fleming has been a minority and woman-owned law firm committed to diversity in the legal profession since the firm was founded in 1994. Our commitment to diversity is pervasive and is reflected in the firm’s ownership, associate ranks, and support staff. 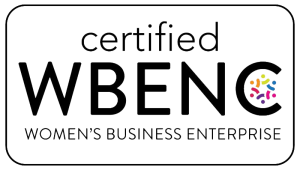 The firm is certified as a minority and/or women business enterprise by the National Minority Supplier Development Council (NMSDC) and the Women’s Business Enterprise National Council (WBENC). Our attorneys actively participate in diversity initiatives with local, state and national organized bar associations. The firm and our attorneys are members of the National Association of Minority and Women-Owned Law Firms (NAMWOLF), the Minority Corporate Counsel Association (MCCA), the National Asian Pacific American Bar Association (NAPABA), the Defense Research Institute (DRI), and the National Bar Association (NBA). Our long-time involvement with these organizations has allowed us unique opportunities to work together with our corporate clients and other in-house counsel to continue the ongoing effort to increase inclusion in all areas of the law.